Comments: Used books don't have access codes, ships from U.S.A. third edition Paperback may have wear and/or considerable writing, ships fast!! !, choose expedited for quicker shipping. 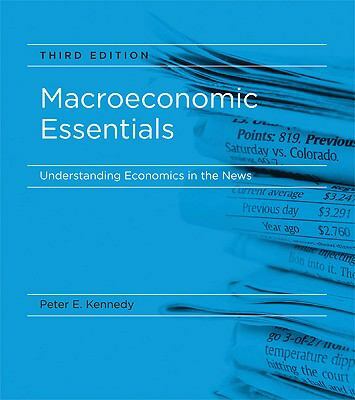 Kennedy, Peter is the author of 'Macroeconomic Essentials, 3rd Edition: Understanding Economics in the News', published 2010 under ISBN 9780262514804 and ISBN 026251480X.